Themes are an essential part of a WordPress website. They define the looks of your website. If you are just getting started with WordPress, knowing what WordPress Themes are, what they do and how they work is critical. In this article, you will learn everything you need to know about WordPress Themes as a blogger. 1. What are WordPress Themes? 2. What are Child Themes? 3. What are Nulled WordPress Themes? 6. Where To Get WordPress Themes? 6.1. Where to Get Free WordPress Themes? 6.2. Where to Look For The Best Premium WordPress Themes? 7. How To Choose Best WordPress Theme for Your Blog? 8. How to Install WordPress Themes? 9. How to Configure a WordPress Theme? 10. How to Change Your WordPress Theme? 1 What are WordPress Themes? WordPress themes are simply a piece of software that define the overall design of your website. They define the colors, layout, and fonts that make up your site. Changing the theme of your WordPress website allows you to change the colors and the layout of your site. There are WordPress themes that are completely free and available to everyone for download. A lot of them are available on the WordPress.org Theme Directory for free. In the following sections, we will talk about Child WordPress Themes, Nulled WordPress Themes and the Difference between Premium and Free themes. 2 What are Child Themes? If you are a WordPress user, you must have heard of the concept of child themes. A child theme is basically a WordPress theme that inherits its style and functionality from a parent theme. If you edit the code of a WordPress theme directly, you will lose all your customizations as soon as you install an update for the theme. This is where Child Themes come to rescue. They allow you to customize a theme while being able to keep it updated with the latest security updates and bug fixes. Most WordPress themes come with a lot of customization options, and you will almost never need to use a child theme unless you want customization beyond the options available. A good example of parent theme is the Genesis Framework by StudioPress. It comes with a lot of functionality and customization options. StudioPress also offers a lot of child themes for its Genesis Framework which only changes the design while keeping the functionality offered by the Framework intact. You can learn how to install Genesis framework and its child themes here. 3 What are Nulled WordPress Themes? Nulled WordPress Themes are premium themes available for free on the internet. There are a lot of websites that offer FREE nulled WordPress themes. Never Use Nulled WordPress Themes. These WordPress themes contain malicious code that allows hackers to gain access to your site. Not only it’s illegal to use nulled themes, but it’s also not recommended if you want to keep your website secure from hackers. There are two types of WordPress themes available on the internet, Free, and Premium. Free WordPress themes are minimal and offer very little to no customization options and features. While on the other hand, Premium themes offer a lot more features and customization options. Most Premium Themes come with literally thousands of customization options and are far easier to customize than free themes. Premium Themes come with features like Responsive Design, More Customization Options, Multiple Layouts, Multiple Page Templates and much more. Premium themes not only receive frequent security updates, but the theme authors also offer support for their customers. Almost No Free Theme Authors offer support for their themes. If you are using a free theme and your site breaks, you are on your own, but if you are using a premium theme and your site breaks, you will get the theme author’s assistance. 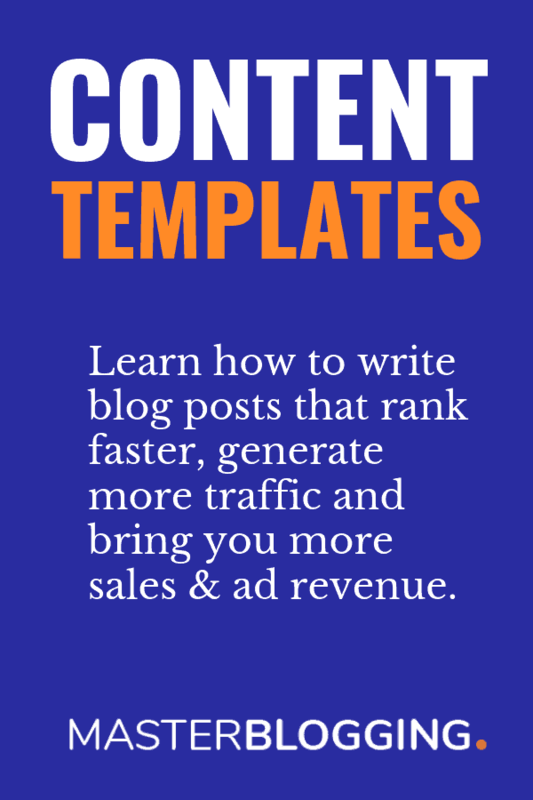 Free themes are good for bloggers just starting out. They lack a lot of features, but if you are a beginner, it might be a good idea to start with a basic, free WordPress theme. If you want to keep your website secure, it’s highly recommended that you only install themes from trusted theme authors. There are literally hundreds of thousands of WordPress themes available on the internet. Most of the free themes available on the internet contain malicious code that you will not want to run on your website. This malicious code can harm not only your computer but also your visitors’ computers and other websites. There are a lot of trusted authors that create free WordPress themes that are secure, receive regular security updates and can be used if you are looking for a minimal theme. Finding a free theme for your WordPress site is covered in the next section of this article. 6 Where To Get WordPress Themes? Now, I am going to show you how you can get free as well as premium themes for your WordPress website. 6.1 Where to Get Free WordPress Themes? There are a lot of sites on the internet that offer free WordPress themes, but as described in the previous section, not all theme authors can be trusted. The best place to find free WordPress themes is the WordPress.org Theme Directory. It contains more than 2000 free WordPress themes that are actively maintained and receive regular updates. All the themes in the WordPress Theme Directory are safe and can be trusted. But these free WordPress themes are minimal and offer almost no customization. These free themes also don’t comply with Google’s recent changes to its algorithm that favor Responsiveness, Website Speed, Schema Markup, Structured Code, etc. Premium themes are optimized for Speed, SEO, and Responsiveness. So, if you want your website to comply with the recent changes to Google’s algorithm, it is highly recommended that you use a premium theme that offers all this functionality. 6.2 Where to Look For The Best Premium WordPress Themes? There are thousands of Theme Authors who sell premium WordPress Themes, but not all of these sell the best quality themes. If you want to keep your website secure, it is crucial that you only buy/use themes developed by Theme Authors that you can trust. 7 How To Choose Best WordPress Theme for Your Blog? There are hundreds of thousands of WordPress themes available on the internet. It is challenging and time-consuming to find the perfect theme for your blog. So, we decided to make it easier for you. Responsiveness – A responsive WordPress theme will make sure your readers get the best experience on no matter what device they use. SEO Optimized – A WordPress theme not optimized for SEO will negatively affect your website’s SEO. Security – If your theme is not secure or doesn’t receive regular updates from its author, your site might become vulnerable to hackers. Customization Options – Any money spent on a theme that you cannot customize to your liking is money wasted. 8 How to Install WordPress Themes? 9 How to Configure a WordPress Theme? When you install a WordPress theme, you will want to configure it. You will want to customize the logo, colors or the layout. Most WordPress themes don’t require any additional configuration other than uploading your logo and adding a title for your website. But there will be times when you will want to change the configuration of your currently installed WordPress theme. Every WordPress theme comes with different configuration options located at different menus in the WordPress dashboard. This makes it impossible for us to write anything about configuring WordPress themes. But don’t worry. Most WordPress themes are pretty easy to configure and come with an easy instruction manual. So, if you are having problems configuring your WordPress theme, have a look at the instruction manual you would have received after purchasing your theme. 10 How to Change Your WordPress Theme? There will be times when you will want to switch to the other themes installed on your WordPress website. WordPress allows you to have multiple themes installed on your website. You can only enable one of the themes you have installed on your site. I don’t recommend having multiple themes installed on your website. It will only slow down your website and consume your disk space. It’s really easy to switch WordPress themes. Alternatively, you can also just upload the new WordPress theme you wish to use if it’s not installed already. When you install a WordPress theme on your website, you will receive free updates from time to time. It is highly recommended that you install all the latest updates for your themes. These updates improve security, fix bugs (problems) and make sure your theme is not vulnerable to hackers. Most premium theme authors release new updates almost every 2-3 weeks. The authors of Free WordPress themes generally don’t release as many updates as the authors of Premium themes. That is one of the reasons why we recommend using premium themes. If you want to keep your website secure and your visitors safe, we highly recommend you to keep your themes updated. I hope this article taught you all the things you need to know about WordPress themes.